Ride Alloway - Woodstown, NJ 45 mile loop along the Alloway Creek - starting 7:30am and ending in Woodstown, NJ. Wildwood 100/200 - Woodstown, NJ - 100 mile ride to Wildwood or do the 200 Ride to and from Wildwood - starting 7:30am. The Wildwood 100 mile is a 1 day event. The Wildwood 200 mile extends this event to the 2nd day, we bike back from Wildwood to Woodstown NJ on Sunday May 6th. 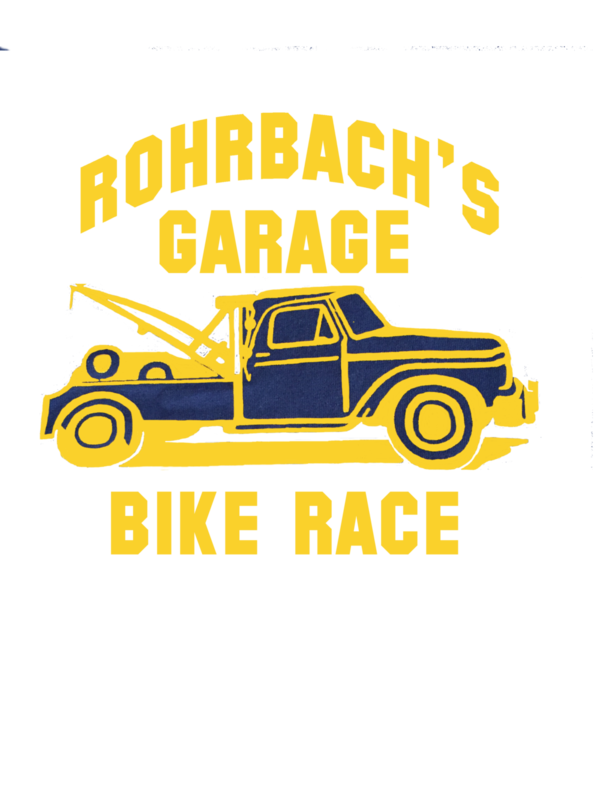 Rohrbach's Garage Bike Race - Alburtis, PA 50 mile 5000 ft climbing, number of loops completed - starting 6:30am. Harvest Ride - Breinigsville, PA 30 mile Harvest loop or 62 mile Hawk Mountain loop - starts 8:30am. 1. Choose Your Ride - Figure out how far you want to bike and the difficulty. 2. Registration Form - Fill out the online registration form for the ride you want to do to sign up. 3. Find Sponsors (Not Required) - Get your friends to sponsor you per mile (e.g. 10 cents a mile) or a fixed amount. 4. Directions - Take note of the starting location and make sure you are able to get there on time. On the Give page, you can sponsor a specific biker with the sponsor form. You can select to sponsor a biker per miles ride, or a general donation. For paying with checks - Please send checks to Bike4Beds, 229 Mountain Park Rd., Allentown PA, 18103. Please email or contact us, information is on our Contacts Page. We really appreciate our volunteers, it's simple, we can't do events with out volunteers. The Bike4Beds team will reach out to you in advance of the event with instructions.